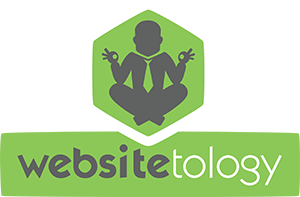 We’ve been telling people that WordPress was the number one tool to get to number one with Google- organically, since 2005 when we started our Websitetology Seminar (then called Blogosopher). Second, is the large and ever-expanding ecosystem of themes, plugins, hosting providers, developers, consultants, and specialized WordPress experts which all work together on the creation of WordPress-powered content. And third, is the WordPress community. The more we get involved with all aspects of the WordPress ecosystem, the more we realize the kindness, diversity, inclusiveness, passion, and effort at every level of the community, bottom up, and top down. But in essence, the missions of Google and WordPress are naturally aligned. An essential part of Google’s mission is to contribute to the prevalence of a healthy, flourishing, and vibrant web. We are investing significant efforts and resources to help to bring a delightful (i.e. user-friendly, fast, engaging) user experience to all users: everywhere, on every device, and over any connection. Similarly, an essential part of WordPress’s founding mission is democratizing web publishing, which itself implies providing an awesome UX on WordPress-powered sites for all users (content creators, site owners, developers, content consumers). Therefore, by working together we can double down on our efforts and accelerate the success of our overlapping missions. When you realize some of the most trusted sites in the world like the NY Times are built with WordPress, you start to understand why there isn’t any excuse for you to use dumbed down proprietary sites from SquareSpace, Wix or Weebly. Anything you can do on any of those sites, you can do in WordPress- with the proper training and assistance. That’s why starting with Websitetology might be your best bet to get online and get seen.